How is everyone this week? Well last week I was talking about snow and we finally had some! Although there wasn’t enough to make a snow ball let alone a snow man. Within two hours it was all gone. As the week ends the surrounding areas have had loads of snow but nothing for us but it’s so very cold. What’s been happening in my world? Well I had to go to the doctors this week for some blood tests. While that doesn’t sound very exciting I actually weighed myself and found I was much lighter than I thought I was. Now I am very self conscious so for me to tell the world is quite a big step for me. Before Christmas I was roughly around the seventeen stone mark, perhaps more. Being quite tall does help but I have to say I want to lose weight now. So when I weighed myself I was sixteen stones and six pounds. I have lost over half a stone. How good is that? I have to say this has now given me the much needed emphasis to lose more. Now my ideal weight is 11 stone and I can tell you now I have no intention of letting myself get that skinny. While I want to lose weight for me it’s not about the weight but the waist line. I was a size 42 waist (again, remember self conscious) but am now down a size to 40. You should have seen my face when I knew I had gone down a size. Instead of a weight target my aim it to go down to a size 36 waist. Not too thin, not too big. Once I get there I can review how things go. My plan? No silly diets for me! I am looking at cutting down, smaller portions and exercise. My problems with food include my addiction to crisps, potatoes and a few more things. I have already started to tackle those by cutting down to only one packet of crisps per week. The good news is that I am now on the third week of that and no problems so far. I only have potatoes twice a week now, including my much loved Sunday lunch. Becky and I already eat a lot of pasta and rice but that will increase even more now. Also instead of snacking during the day when I get a bit peckish I now munch on carrots. It works. Also I am exercising more. We have a cross trainer and I am now on that every morning. At present I am doing about 20/25 minutes a morning and some in the evening. My plan is to increase the amount of time on there each week but start gradually to allow my body to get use to the work. Also loads of walking will be taking place, some great hills where I live so that should help too. Anyway I am not going to bore you. I will keep you posted on how it is going. The rest of the week has been good. I have not been able to do much work on the bookkeeping this week but have been doing some revising from text books etc. I think I am on track so that’s a good thing. On the podcasting front I have been busy preparing for this weeks shows and some coming up. We have some special guests coming on the shows in a few weeks. We have comic writers, artists and authors and a few more. Research has been the word of the week, I have been looking at past interviews, reading short stories, working out questions and quite a bit more. Speaking of podcasting I want to say about the strength of a friend. Now when you listen to a pod you are hearing the finished product, what you may not know is the about of work that goes in behind the scenes. Normally we have about six day to edit the show. Everyone edits in there own style, I have been taught to try and remove every “erm”, pauses on the recording etc. I have only just started editing and for me it’s taking me about 7/8 hours over a few days. You listen to the pod examining every detail and see what can be cut out or changed. This week for Sina the world came crashing down. Sina had edited half the show with two days to go when it all went wrong. The files were lost with everything on them. Two days of work lost. Now I can tell you Sina was very upset (I know I would be too!) but this is where strength of character came in. Sina picked herself up and edited the show from the beginning! How much work and effort was needed to start again, knowing you have done this already? Sina finished the pod with a day to spare. How amazing is that? Well, I think it’s incredible and I am in awe at Sina’s inner strength in not giving up and making sure everyone got there pod on time. Thank you Sina. Becky is well. Becky works for a marketing firm and this week has been very busy. The one good thing from working from home is that I can have dinner ready for her or a bath run etc. Just to try and make things a little easier for Becky. Next week I need to start looking for a birthday present for Becky, the 7th February is the big day. Time to start looking. Hope you have a great weekend and we will speak soon…. While watching Big Bang last night I was talking to Becky and I mentioned that next week was the end of the month. “No it’s not” said Becky and it took me a moment to think about it (as you know I am not quick on the take). Then it dawned on me that we had another two weeks, will January ever end? My week has not been too bad. My studies has continued where I left off before Christmas. I was worried that it would take me a while to get back into the swing of things but it’s actually going well. I am now working on all the assignments, tests that I have been given to do and having another go at them for practice. My aim is to be as ready as possible for my test. Have you had snow this week? Well as I write this Milford is suppose to be covered in snow but yet again the weather men got it all wrong. It seems that everywhere around Milford is covered but not us! Over the three years I have lived here I have always been amazed how Milford seems to have it’s own weather system compared to the rest of Wales. Although it has been so cold these past few days. Well if you have snow, please stay warm and even if you don’t please stay warm! I am off to London at the end of February. There is a comic convention in London called the “London Super Comic Con” at the Excel Center. One of the comic artists that I have interviewed on the Holodeck J.K. Woodward is going to be there and it would be great to meet him and others. I have not been to a comic con for about twenty years so this will be fun. The good thing is that since it is in London I can stay at my mum’s in Finchley and can save some money on food, accommodation (always a good thing). I am going on my own to London since Becky cannot get time off work so that will be very odd. I will be recording pods as well that weekend so that should be fun, an outside broadcast…. More to come on the con as it gets closer. I am recording four shows this weekend. I have to thank Becky for being so understanding, I am so lucky that Becky is okay. Four is too much but this will be the last time. I am appearing on the main show this evening as a guest, on Saturday I am recording Ten Forward with Sina & Matt Rushing for book club. Also on Saturday, Sina and I are recording a very special show but alas I am not going to tell you just yet since we are not ready to reveal to the world our special project. Then Sunday with Dave (Captain Hot Dogg) I will be recording the Holodeck. This time looking at the DS9 / TNG crossover comic from the mid nineties. It’s amazing how within such a short time that podcasting has become quite a part of my weekly life. I have organised it around my study times with a list of things to do each day such as preparing show notes, news gathering, research. It does keep me busy so that’s great. Of course most of the weekend will be spent with Becky. I love this time with Becky and I wish could tell you what we will be doing but knowing Becky she has not thought of it yet…. Have a great weekend and I will talk to you next week…. The next Generation will always be my favourite series of Star Trek. 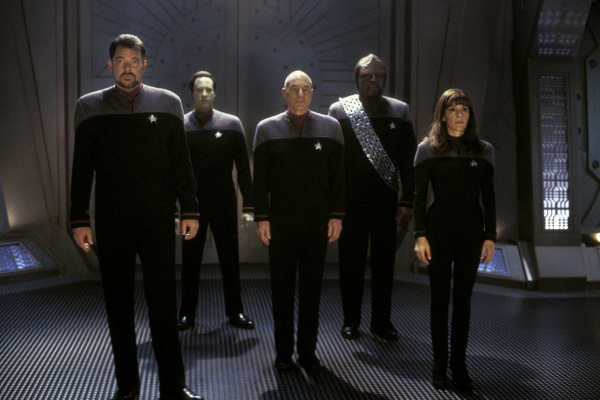 I grew up with the crew of the Enterprise-D over seven years of amazing adventures and when they moved to the big screen I was just as excited as everybody else. Why did all the films have to focus on Picard and Data? Now before you say anything I have no problem with Jean Luc being the main character in the films. He’s the Captain and Sir Patrick Stewart is the lead actor in an ensemble cast but why did Paramount & the writers decide that Data now had a better story to tell than Riker or Worf? 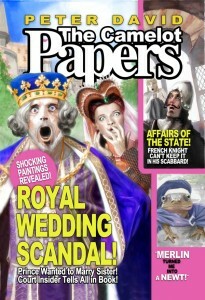 Of course we know the “real” reason is down to financial concerns. Paramount thought that from a commercial point of view having stories about Data would most probably bring in more people to the cinema and perhaps bring new people to Trek. However, from a character point of view did Data develop much more and was in fact Data overused? •	Generations – Data installs the emotional chip (that now looks 3 times bigger than it did in “Descent”) which allows some good scenes but leads to Geordi being captured that then leads to the destruction of the Enterprise-D.
•	First Contact – Data become the focus of the Borg after encrypting the main computer and gets seduced by the Borg Queen. Data saves the day at the end and Picard’s life. •	Insurrection – Data malfunctions, uncovers a vile Federation plot, and makes friends with an annoying child (whose pet should have been squashed). Also gets to play in the hay at the end. •	The Wrath of Shinzon – sorry meant Nemesis. Always mixing those two up for some reason. Here we find another Soong android & brother for Data. Some nice scenes for Data with B4 (in the deleted section of the films DVD) and Data makes the ultimate sacrifice saving Picard, the Enterprise and Earth. Looking objectively you can understand the plots in “Generations” and “First Contact” since both stories is in some ways a natural progression for Data. It was never an option in TNG for Data to be allowed the emotional chip but those restraints were off for the films. While in First Contact the introduction of the Borg Queen meant that Data would be the perfect “foil” for her. Now after two films the writers and Rick Berman should have given Data a rest. 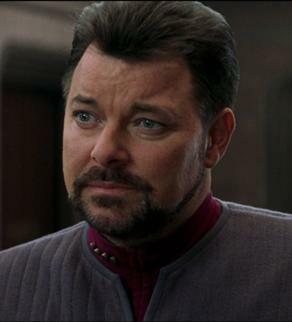 They should have remembered that Jonathan Frakes and the character of Will Riker were supposed to be second in the ensemble cast. 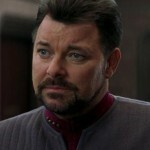 After all Will Riker was “Number One”, he was the ladies man of the crew and all round action hero. Yes, the story of “Insurrection” would have needed to be amended but it wasn’t a perfect script to begin with (although over the years I now appreciate the film more). Instead all we saw of Riker was playing in the bath with Troi and playing with a giant joystick on the bridge while fighting the Son’a. Not Will’s finest hour on screen. I am speaking of lost opportunities. The stories that could have been told but weren’t. Look at Nemesis, it had the Romulans in. They are my favourite Star Trek villain but forgetting that for a moment who hates the Romulans? 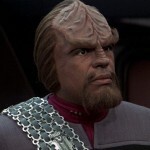 Yes, you have it: the Klingons! 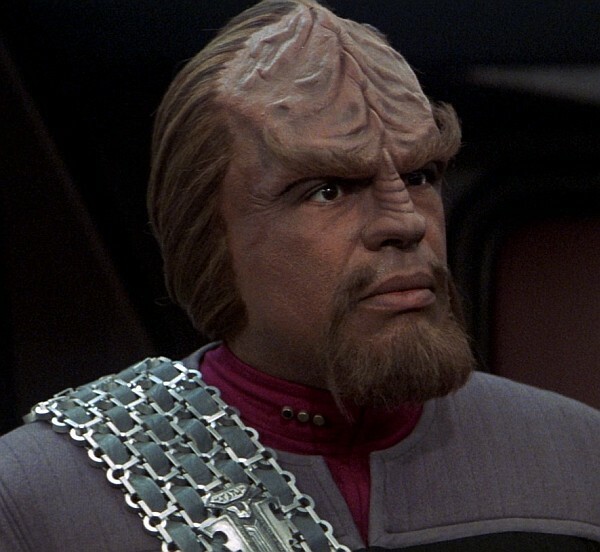 The writers could have made the focus of this film on Worf. While on DS9 his character became even more popular with the Klingon stories some of the most interesting. We know of his hatred of the Romulans from the series and seeing him put aside that hatred to help the Romulans would have been an interesting story. Of course we know that there was a very small subplot in the film about that hatred of the Romulans but all we got to see of that was one line from Worf to Riker when the Remans board the Enterprise. A Klingon aspect would have made a great film. Did we need to see another android from Dr. Soong? No. Did Data need to die? No. It was shock tactics, nothing more. Data was always an interesting character in TNG. However, in some of the best episodes of the series he only played a minor role. Look at “Yesterday’s Enterprise” or “The Inner Light” and many more. Don’t get me wrong, I like Data and there have been some great Data episodes but the series was not all about him. My point is that the writers, Rick Berman and Paramount made a mistake (in my opinion) by just focusing on Picard and Data. Imagine the stories that could have been told but now we will never see. They should have remembered it was an ensemble cast and featured seven wonderful characters not just two. You would think after experiencing so many Christmas & New Year holidays we would be get use to the “January blues” and snap right back into things but that’s not the way we are “wired”. Everything seems such a chore as we return to work or get back to our post holiday routines. January always seems a dark, moody month, or is that just me? Before I continue I just want to say thank you to those who commented on my last posting. To be honest I didn’t know if anyone actually read this or that so many did. This is all still quite new to me and all your support is very much appreciated. Also for those who have asked my mother-in-law Sue is doing quite well, she has responded to the operation, is getting stronger each day and feels fine. What more we could we ask for? Thank you again, means a lot. This week has been very quiet. I am now studying again for my bookkeeping exam. It’s a computerised exam where I take the exam from home, send off all the print outs and then wait for the news. You know for someone who is not very good at maths I was shocked when I decided to become a bookkeeper! Lets go back a three years. Becky’s Grandfather had passed away and we had come back to Wales for the funeral and of course to see how Nan was doing. While Nan was doing well we could tell that she might struggle or be very lonely and at the same time we were struggling in London. I had lost my job due to the recession (still only starting at this point) and living in London was not cheap. Now when Becky and I became a couple and things became serious I knew at some point Becky would want to move home to Wales. We didn’t expect it to be this soon but for us we saw an opportunity to support Nan, manage our incomes and move back to Wales. It was strange leaving London after living there all my life. My family were shocked but supported us in our decision to move away. We do miss London but after three years in Wales I don’t think we would want to move back to all the hussle and bussle. Finding work was harder than we thought it would be but Becky was the first to find something so I supported Nan around the house. Soon though it came apparent Nan was not doing well so in some ways I became a carer until finally in 2011 she passed away. During this time I could not go out to work so decided to start my own business and that’s when I found bookkeeping. See! If you have stuck this far you will know that I would get back to the topic on hand. Bookkeeping is actually a sector that is in growth during the recession. My plan was / is to offer my services to sole traders, small businesses and show them how a bookkeeper can be a benefit and a saving to their business. I could study from home and take care of Nan which was good. While you don’t need to have formal qualification to start a bookkeeping business I decided that I would want to be be credited by an organisation that is recognised. I went to the Institute for Certified Bookkeepers, once passed I will be able to use their logo, letterhead etc and this will straight away give the business some credibility. Anyway I have passed manual bookkeeping and soon should be in a position to start looking for clients. Of course there are still more courses to learn but at least I can start things up. All good fun. While on the subject of grandparents I have to say that Becky’s were wonderful. They were very kind and supportive from the first moment I met them. I never knew any of my own grandparents, by the time I was born they had all passed away so knowing them was very rewarding. So maths & bookkeeping. As I got older I have become better at maths but I am glad that bookkeeping has it’s own software and as long as you enter the correct information and know what to look for when things might go wrong it’s all okay. After not studying for some eighteen years I actually found it quite easy to get back into things. I like structure, so planned my schedules, planned learning objectives etc and here we are today. One step closer, let’s see what happens next. The rest of my week has been preparing for podcasting this week. When I first started I never knew how much was involved! Anyway, this week I have been looking at Voyager, Kate Mulgrew for Ten Forward and for the Holo Deck reading IDW’s ongoing series. As well as that I have been helping spread the word on how we can all help Peter David who has had a stroke and needs our help (if you can). Also I have been planning some more special interviews for the shows. We have some great guests coming on very soon. We have authors, comic writers, a TNG / Voyager producer and more. One of the best things about being on a pod is that I get to meet so many new people and that is something I will always look back fondly on. My diet is going well, I think. I have managed to work out each day on a cross trainer which feels so good after each session. I am building myself up each day, doing a little more. I will lose weight! In between all this I am also playing Batman Arkham City on my Xbox. I love Batman and playing this is loads of fun. I know a big kid! As I write this I am listening to Swan Lake (I could play this all day, just amazing) and the clouds have opened up again. Dark and moody January, told you so! Can you help Peter David? When I was growing up I read whatever Star Trek books or comics I could get my hands on. Many of those books & comics were by Peter David. This man is amazing! His work on the Star Trek comics from DC were most probably some of the best Star Trek stories I have ever read and his novels capture what the show is all about. We often say say that this actor or that actor is our hero or inspiration but when it comes to the written word Peter David for me is an inspiration. When I found out about the stroke I was very upset and still am. Please read below on our we can help Peter & his family during this traumatic time. Taken from Trek Mate News by Jon Taylor. Peter David is a prolific author whose career, and continued popularity, spans nearly two decades. He has worked in every conceivable media: Television, film, books (fiction, non-fiction and audio), short stories, and comic books, and acquired followings in all of them. His Star Trek work includes both comic books and novels, such as Imzadi, and co-creating the New Frontier series. 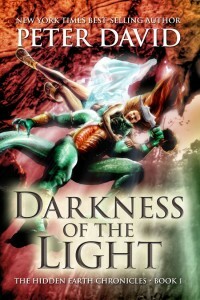 His other novels include film adaptations, media tie-ins, and original works, such as the Apropos of Nothing and Knight Life series. 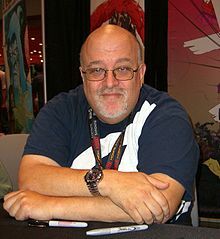 His television work includes series such as Babylon 5, Young Justice, Ben 10: Alien Force and Space Cases, the last of which David co-created. On December 30, 2012, David reported on his blog that he had experienced a stroke while on vacation in Florida. The following day, his wife, Kathleen, explained that the stroke occurred in the Pons section of David’s brain, and that David lost most of the use of his right arm and his right leg, and suffers from blurry vision in his right eye. Kathleen indicated that while a total recovery is unlikely, David was still in good spirits, and that with therapy, he will adapt in order to return to his prior routine. The most direct way is to buy his books from Crazy 8 Press (via ComicMix) or from Amazon or Barnes and Noble websites. These are books that he gets the money from directly and the most per book. A powerful ruler who’s considered by many to be simple-minded and vacuous and has serious father issues. A no-nonsense, polarizing woman who favors pants suits and pursues dubious agendas involving social needs. A remarkably magnetic leader of men with a reputation as a skirt-chaser. A scheming, manipulative adviser who is constantly trying to control public perceptions. A man seen as the next, great hope for the people, except there are disputes over his background and many contend he’s not what he appears to be. George W? Hillary and Bill? Karl Rove? Obama? Try Arthur Pendragon, Guinevere, Lancelot, Merlin, and Galahad. 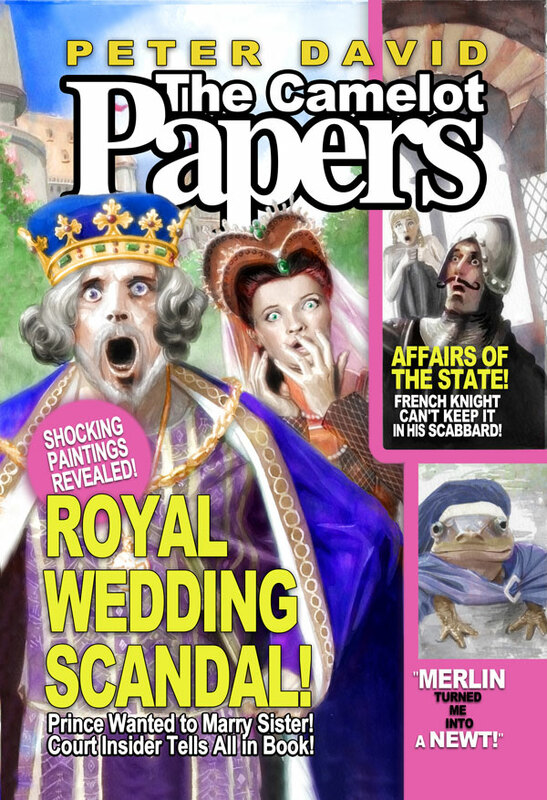 Whatever you think of the state of today’s politics, The Camelot Papers shows you just how little matters have changed in the past thousand years or so. The Camelot Papers presents a fresh perspective on Arthurian legend by using modern day sensibility and combining it with a classic tale to bring a new insight into iconic characters. The Hidden Earth Saga of which there are two published and the third is in the works. These are science fiction mixed with mythological creatures and the fate of the Universe hangs in the balance. Big epic sweeping books with those great characters that Peter is famous for writing. There are Print on Demand for all these books if you want a paper copy rather than electronic. 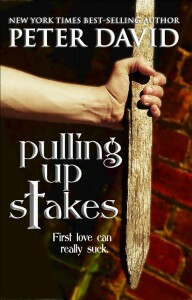 The more they sell of these books, the easier it will be for them to pay the bills as they start to pour in. Buying his other books does help but that is very long term and isn’t much per books but it does help especially the Marvel graphic novels he has written. So begins 2013 but don’t forget 2012 too quickly.. I know we are a few days in to the new year so I hope you don’t mind the late greeting? I do wish you all a great 2013, hows it going so far? I am looking at the blog and it’s been over a month since I have posted anything. For those who do follow the blog then I am sorry for that, amazing how time flies! Before I talk about 2013 lets talk about Christmas and New Year. At one point I didn’t think that there was going to be a Christmas. Three weeks before the big day my wonderful mother-law was rushed into hospital, it seems that over a two month period (no one can be 100% sure) Sue had a number of heart attacks and didn’t even know she was having them! How crazy is that? Sue had been complaining of feeling tired, some rashes had appeared but nothing to indicate this. Well it seems that on the day Sue was rushed in she had had two attacks within a space of half an hour. Thank goodness she went to the doctors. What spooked us out more was the fact that Sue went into hospital in the same week that we lost Becky’s Nan last year. While I am not superstitious you couldn’t help but wonder. Of course this was a shock to all of us, we rallied round and began a visiting schedule to make sure Sue would not be on her own for too long. Anyway not to go into finer detail Sue would need an operation, a stent would need to be fitted or the next attack could be her last. We were told that fingers crossed the op would be soon but when we got to the week before Christmas we started to doubt we would have Sue home in time. Of course the main thing was Sue’s health but as a family it would not have been the same. Now I am not going to complain about the NHS. I believe in the NHS, it has saved my life when I was younger (that’s another story) and while it has it’s faults the impact it has had on the country since it’s conception in the late 40’s is astounding. Finally with six days to go Sue had the operation, one hour later she had stent fitted and was on the way to recovery! I have to say now that as always Becky was amazing. For those who know me you will know I am quite emotional, I am quite soppy and this just threw me into free fall. Becky’s parents have welcomed me into the family, they have stood by us through some dark times and this was intolerable. Becky being calm, knew that Sue was in the best place and as always was my rock. Becky doesn’t know how strong she is, no matter how many times I say it she won’t believe it. During all of this I carried on. I had some studying to do but this was put on hold since I knew I could not concentrate and my exam wasn’t until the end of January. Sina and I had come up with quite a demanding recording schedule for our pods so that we could have a three week break from the world of podcasting. Little did we know how demanding it was! One Sunday I recorded three shows and was up till 2.30 am. I tell you now I am never doing that again. I was exhausted so a three week break from recording and listening to pods was wonderful. More on that soon. Christmas was quiet but wonderful. Sue was home, resting but insisted on making her world famous (to us anyway) Christmas dinner. It was nice since it was just Pete, Sue Becky and myself. We exchanged gifts, spoke about how lucky we all were and enjoyed the day. What more could you want? As always Becky spoiled me with some brilliant gifts. I won’t go on and on but I had some Star Trek books, a Batman graphic novel, some Sherlock Holmes bits and lots more. As I say all the time I am so lucky to be married to Becky. We had a quite New Year. Sue was too tired to do anything so Becky and I stayed home which was different for us but refreshing too. I was always gets a bit teary New Years, another year has gone by and hopefully 2013 will be even better for us. What can I say about 2012? It was quite the year, my plans for my own business moved forward (perhaps not as fast as I would have liked), I became a Great Uncle for the second time and an Uncle for the ninth time. In July our Kitties came into our lives (never under appreciate the power of cats) and most of all Becky and I were together doing all sorts of crazy things while enjoying ourselves. Now I would be remiss if I did not mention how things changed when I found the world of podcasting and started using twitter. I won’t bore you with the details but for me I met some wonderful people in Trek Mate including Wayne (thank you for asking me to join & more), Marc, Kirsty, Paul D. Adam, Paul & Emma (who are just so funny/brilliant, helpful), Jackie (who is just great) and many more. On twitter I met Colin, Tanya, Jon, Lorrie, Matt R, Laura, Vesta, Renee, Hot Dogg (the wonderful & funny Dave) and so many more. I could go on, so please if you are not here then it just means that I am getting old and forgetful. You are all wonderful. Podcasting also found me a great friendship with Sina. From listening to her pod I sent in emails to finally appearing on the show and then I was asked to join Book Club and from there it all snowballed. You know when something is right and my friendship with Sina is that. we share a lot of things in common and it grows from strength to strength. Thank you for everything. My plans for 2013? Well I have to get my business up and running. I want to carry on producing my pod (I have some great plans for the Holo Deck including new hosts, special guests and…), I am starting a diet tomorrow (no jokes please!) and of course be with Becky. More to come soon. If I haven’t bored you too much?